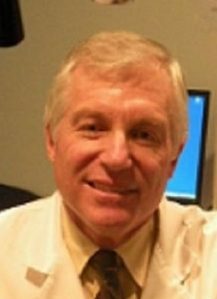 Dr. Greenberg graduated with honors from The Ohio State University in 1972 with the Doctor of Optometry degree and a Master of Science in physiological optics. While at Ohio State, Dr. Greenberg performed some of the original soft contact lens research under Dr. Richard Hill. Dr. Greenberg is in private practice in Chagrin Falls, Ohio specializing in contact lenses, hard to fit contact lens cases and primary care optometry. He has performed extensive research in contact lenses and contact lens solutions. He is also an investigator for numerous pharmaceutical, contact lens and solution studies and has had several articles published in professional journals. Dr. Greenberg is a Fellow of the American Academy of Optometry and is the president of the North East Ohio Chapter. He is past chair of the OOA Health Systems Committee and has served on the Medicare Carrier Advisory Committee. He also is a past president of the Cleveland Optometric Association. Dr. Greenberg serves as the only optometrist on the Board of the Cleveland Sight Center and is a member of its Eye Care Professionals Committee. Practicing optometry allows me to help so many people in so many ways that really improves their lives.